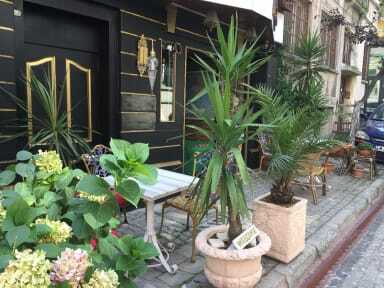 Avrasya Hostel kohteessa Istanbul, Turkki: Varaa nyt! This hostel is wonderful. The staff are so friendly and helpful - Murat, Abdou, and Lana are the sweetest. The hostel is clean - linens are fresh, you can rent a nice big clean towel, and bathrooms are clean. There is a gorgeous terrace with free breakfast every day. The hostel itself is in a very touristy area, with lots of shops and restaurants. The tram is a 5 minute walk away. Overall, I greatly enjoyed staying here and would absolutely stay here again. Great location and staff! Good value for money. Will stay here again!